Sam Marks and Johnny FD share their investing updates from the past three months. Listen as Sam explains why he exchanged a half million USD into RMB (and has lost 20%) and how Johnny’s Forex account has developed. You’ll find out if early retirement is right for you including how Sam and Johnny strive to balance wealth, time, and happiness. 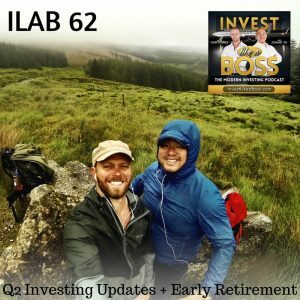 Listen to ILAB 62 on iTunes here or subscribe on your favorite podcast app. 55:45 – What is happiness?